Have you answered yes? ............Then you’re ready for a career redesign. 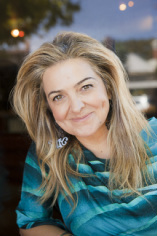 Pre Workshop:1: 1 Consultation- Let's determine where you are at and what you’ll need to re-energise your career. In-between workshops: Provides you with an additional manual with activities and reading to understand the reflection process. Post Workshop: 1: 1 Consultation, within a month of workshop to assist with any further challenges or questions. 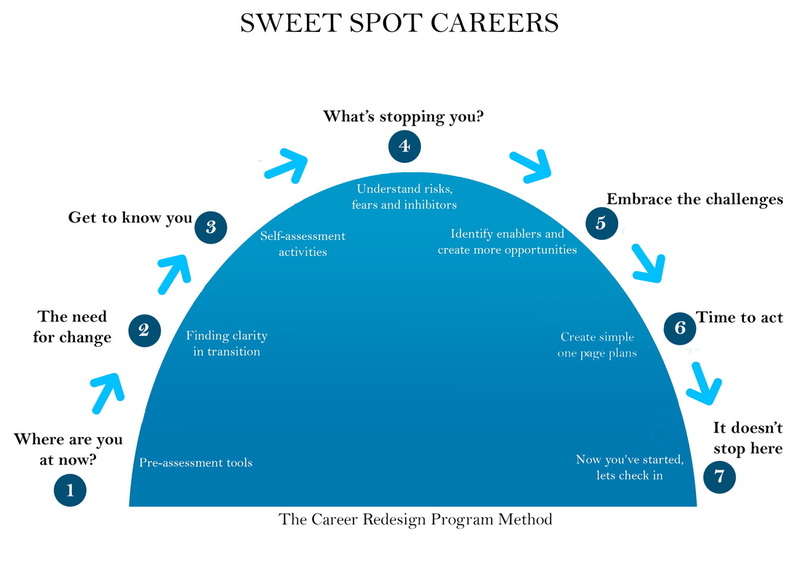 Book: "Sweet Spot Careers- A Practical and Creative Guide to a Successful Midlife Career Transition"
Articles and advice from experience authors in the fields of career, psychology, financial management and personal growth, plus additional reflective activities and tools. Access this material in your own time and at your own pace.